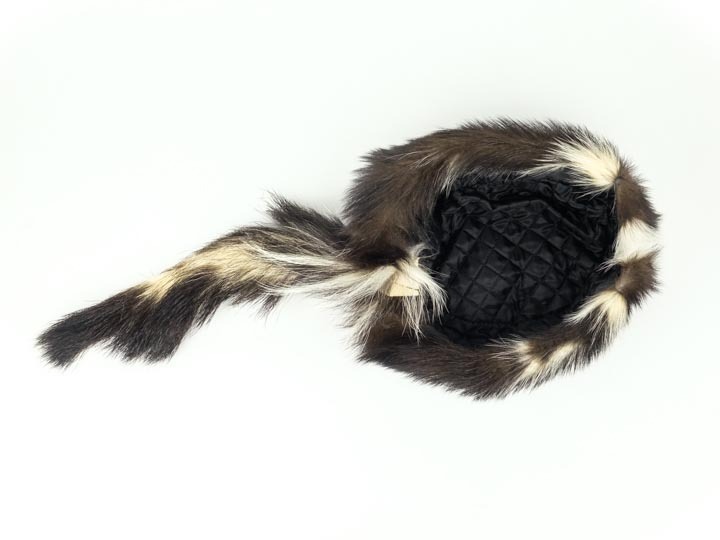 These hats are made using real skunk fur. They are lined. These hats are a custom order item at this time. We will need to know your head size in order to make a hat that fits properly. 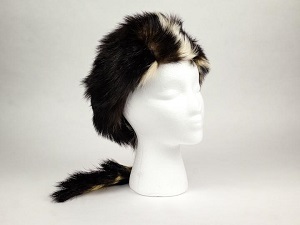 Each skunk hat takes at least two skunk skins. Please allow four weeks for delivery. Before ordering a hat, please use a measuring tape to measure the size of your head where the hat will sit to reduce the chance of getting the wrong size. Click HERE for a headwear conversion chart. If the hat does not fit or you wish to return it for any reason within five days of receipt, please call or send us an e-mail to let us know there is a problem. Upon receipt of the hat in its original condition, we will issue a refund for the value of the hat or exchange it for one that is smaller or larger. You are responsible for the cost of shipping and insurance in both directions. We have had many satisfied customers of our hats. We hope that you will be one, too. Genus and species: Mephitis mephitis. Wild. 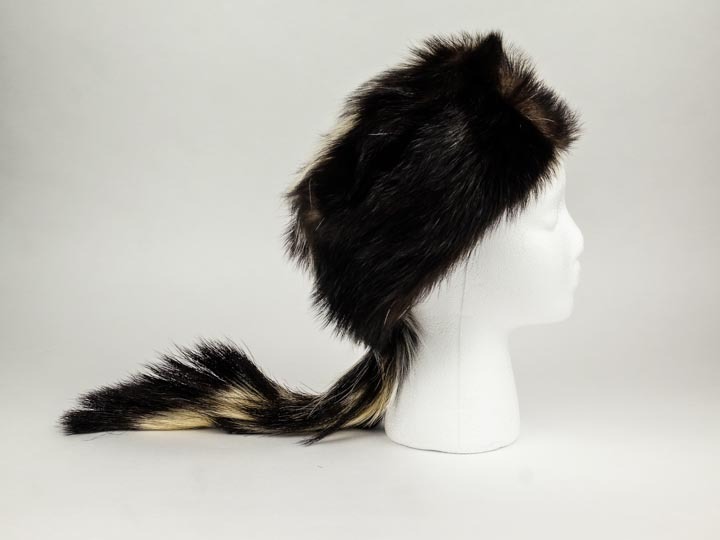 Skunks are not endangered and are not subject to CITES controls.